Hi everyone! I hope everyone had a wonderful weekend. We originally planned a family outing this Saturday, but my youngest got sick so we had to cancel our plans. I expected my family to explore, enjoy nature, have kids run around and relax over a picnic for this Saturday, but instead we were in the house with a whiny sick 2 year old throwing up, hyper active 3 year old jumping around all over the place, and my 5 year old glued to the TV. I felt like we needed intervention or I was going to pull all my hair out by end of the day. So I started searching and found out that Anseong Farmland is having a 50% promotion in September for parents with 아이행복카드 (Children Happiness Card). Since we only have one week left in September, I decided to take my older two kids while my husband stayed home with my youngest. I didn't know what to expect, but this place blew my mind! First, this place is huge!! lt has carnival rides, magic art hall, animal farm where kids can feed the animals, horse back riding, tractor riding, dog shows, playgrounds, picnic area and much, much more! Initially, I was getting nervous since the parking lot was already full by the time we got there and I thought it was going to be crowded. But surprisingly, it didn't feel crowded at all and we didn't have to wait in line for anything. 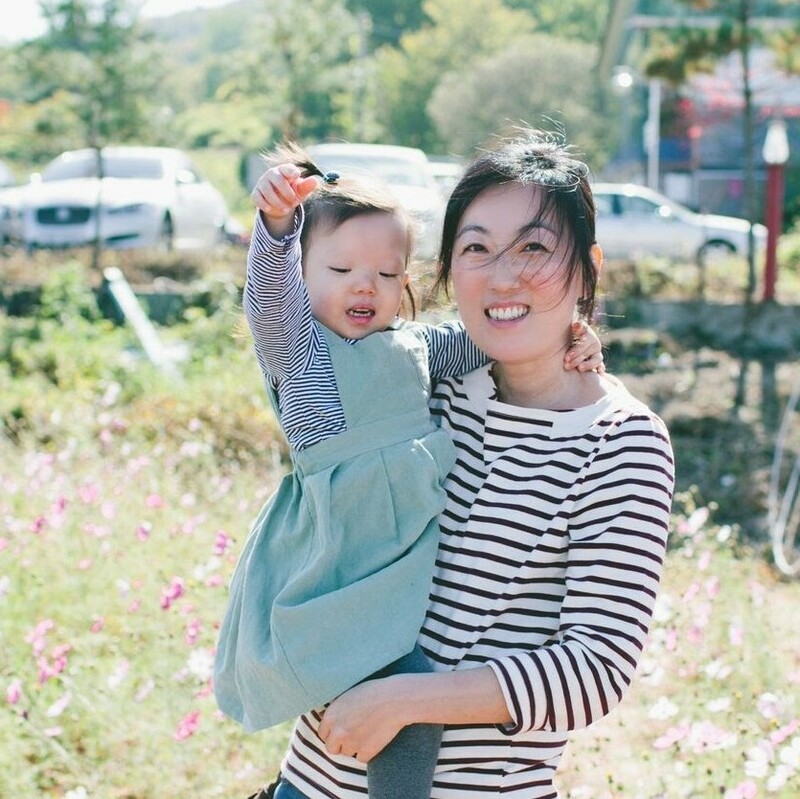 If you have been to any of the popular kid friendly places in Korea on a Saturday afternoon, you know a wide open space where you are not bumping into anyone is a huge deal. Second, it was so clean and well maintained! I felt free to let my kids run around and have fun. This place also has clean bathrooms and a breastfeeding area for nursing moms. It is a perfect place to pack some food and spend all day with your family. It's totally fine if you don't want to pack your own lunch too. They have a few restaurants and convenience stores at the entrance and snack stands throughout the farm. This water bumper tube was just one of the rides that they had. The ride is usually for 5 minutes, but they let us ride longer because there was no one waiting in line. One basket of animal food costs 1,000 won, cash only. My kids were sad because I didn't have any cash, and they couldn't feed the animals. So make sure you take some cash with you. They might fight and compete at times, but they are glad they have each other. "Oppa, look at this." "Oh, it's a caterpillar." "Let's come back next spring to see if it turned into a butterfly." "Okay!" Location: Anseong, about 70 kilometers south of Seoul. 1 hour drive, took us 1 hour and 40 minutes with Saturday traffic. I just typed 안성팜랜드 on navigation for driving directions. And yes, for stroller friendly. All prices in Korean Won and tractor ride included.